As one of the most experienced and recognized endocrinologist in Miami, Dr. Kenneth Shephard believes in handling each patient with personalized care and respect. After finishing his 3 years of training of Internal Medicine at the University of Miami, he later transferred the remaining years to the Harvard Medical School to continue his training in Endocrinology and Diabetes. Dr Shephard completed his training in Diabetes in one of the most recognized diabetes centers in the world, The Joslin Diabetes Center, in Boston, Massachusetts and Endocrinology training at Deaconess hospital in Boston, Massachusetts and The Lahey Clinic in Burlington, Massachusetts. After over 5 years of education, he went on to gain experience at multiple hospitals in Miami, Baptist hospital, South Miami Hospital, Mercy hospital, and later grew into running his own practice. Dr. Shephard does not only use his many years of education, but his diverse experiences with his own practice and other medical centers to approach all of his patients, and their medical situations. Dr. Shephard’s practice has been open since 2003 and has been recognized as one of the best endocrinology practices in Miami, Florida. 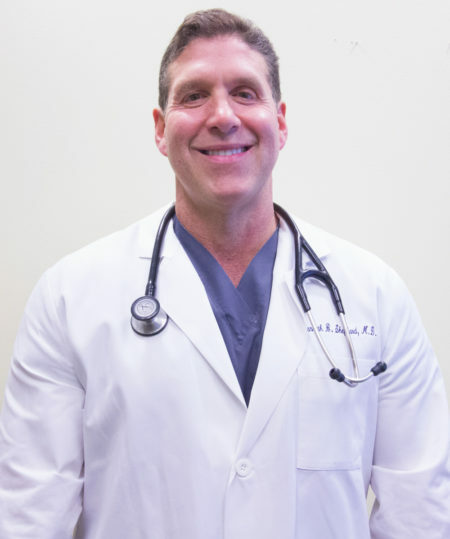 When it comes to building a relationship between doctor and patient, Dr. Shephard is highly praised and is very well known for build trusting relationships with all of his patients as well as putting his patients first. He dedicates himself completely to each and every single one, making sure that all of their medical needs are met and taken care of. Dr. Shephard’s certifications include: Diplomate, American Board of Internal Medicine and Diplomate, American Board of Endocrinology, Diabetes, and Metabolism, American Board of Anti Aging and The Cenegenics Education & Research Foundation. He also received his training by the American College of Endocrinology in Diagnostic Neck Ultrasound, Thyroid and Parathyroid disorders, Ultrasound Guided Fine Needle Aspiration, Endocrine Certification in Neck Ultrasound (ECNU) and American Institute of Ultrasound in Medicine (AIUM). These certifications are what make him and his practice stand out from many other endocrinologists. Dr. Shephard received awards in 2007, 2010, 2012, and 2017 as America’s Top Physician; His years of dedication and hard work have helped him reach his goals to open his own practice and to deliver the best endocrine medical services to all of his patients. ECNU is a certification provide by the two most recognized endocrinology societies in this country, American Association of clinical Endocrinologists and the American College of Endocrinology. Earning an Endocrine Certification in Neck Ultrasound (ECNU) means a doctor is professionally licensed to perform ultrasounds to evaluate and diagnose thyroid and parathyroid issues in the neck. One technique that licensed doctors use is ultrasound-guided fine needle aspiration (UGFNA). By having ECNU credentials, it means a doctor has passed both the Comprehensive Certification Evaluation (CCE) and the Validation of Competency Process (VCP). AIUM ultrasound accreditation is a peer review process that evaluates medical practices on nationally recognized standards in the performance of ultrasound examinations. Earning AIUM accreditation means that a doctor who has achieved the accreditation is proficient in the every aspect of their of their diagnostic ultrasound services, and has a commitment to the highest quality of patient care. The office is proud to announce that our practice is part of the “2017 Top Doctor Awards”. The award recognizes and celebrates the achievements of respected doctors. Receiving this award is a great honor, and inspires us to work harder to provide the best care for our patients. We will continue to strive to best represent ourselves as a part of this prestigious honor.